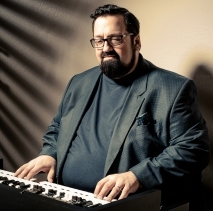 As he’s made abundantly clear over the past 30 years, Joey DeFrancesco has plenty of soul. What most listeners probably haven’t spent much time pondering is that soul’s place in the universe. On his adventurous new album, In The Key Of The Universe, the master organist turns his musical attentions to his spiritual side, tapping into a strain of metaphysical jazz that’s fueled sonic searchers for more than half a century. Joey D calls upon disciples and missionaries of jazz to join him in paving the way to enlightenment. In The Key Of The Universe, due out March 1 via Mack Avenue Records, arrives almost exactly 50 years after the release of Karma, the landmark album by legendary saxophonist Pharoah Sanders. One of the primary exponents of spiritually-oriented jazz, Sanders makes three guest appearances on the album, including an update of his best-known track from Karma, the cosmically influential “The Creator Has A Master Plan.” Playing drums on that track was the great Billy Hart, who reunites with Sanders as well as DeFrancesco, with whom he’s worked several times over the years since joining the organist for his 1989 album Where WERE You? Hart makes up part of the core band for In The Key Of The Universe along with percussion virtuoso Sammy Figueroa, another Where WERE You? alum who has played with almost literally everyone over the years, from Miles Davis and Sonny Rollins to David Bowie and Patti Smith to Mariah Carey and Diana Ross. The multi-talented saxophonist Troy Roberts, a frequent collaborator in recent years, shows off his skills on tenor, soprano, alto, and even the acoustic bass. 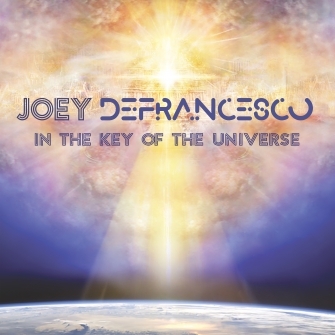 At the center of it all is the always scintillating organ work of DeFrancesco, who retains his trademark robust swing and gritty funk while striking out in freer, more exploratory directions. An artist who's always been deeply attuned to the full history of jazz and able to tap into it in innovative ways, DeFrancesco naturally feels a profound connection to the questing, devotional jazz of forebears from Sanders to John Coltrane to John McLaughlin. It may seem like a change in direction, but unexpected travels into new territory has been a central tenet of DeFrancesco’s music throughout his remarkable career. In many ways an entire subgenre of consciousness-expanding jazz can be traced back to Karma and more specifically “The Creator Has A Master Plan,” the 32-minute epic that takes up almost the entire album. DeFrancesco’s rendition whittles the piece down to a relatively succinct 11 minutes, though without losing any of the original’s transcendent power, which DeFrancesco felt like a jolt in the studio. 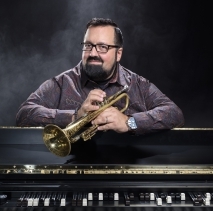 Sanders also lends his singular tenor sound to the enthralling title track, on which he plays in tandem with Roberts, and to the more tender “And So It Is,” where he’s paired with DeFrancesco’s trumpet playing in addition to his cascading organ sound. All three tracks showcase Sanders’ unparalleled ability to be simultaneously raw and refined, mesmerizing and ferocious. The rustling of Figueroa’s percussion paired with Roberts’ keening soprano usher in the album with DeFrancesco’s “Inner Being,” whose introspective opening gives way to a blissful groove. An Indian-inspired drone underlies “Vibrations In Blue,” where Hart’s hypnotic rhythms usher in the exotic, interlaced voices of Roberts and DeFrancesco. The buoyant “Awake And Blissed” follows, a rollicking mission statement highlighted by the leader’s fleet, jubilant keyboard runs. “It Swung Wide Open” picks up the pace even more for a blistering jaunt that shines the spotlight on Hart’s taut, stop-on-a-dime rhythmic control. 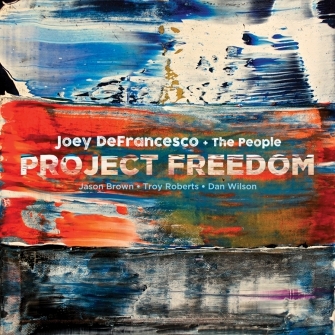 The word “freedom” clearly resonates for Joey DeFrancesco, the Hammond B-3 organ kingpin and veteran hard-bop messenger. 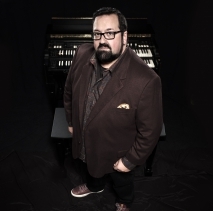 The first track on the latest recording from Joey DeFrancesco is what you might expect from the organ expert and swinging veteran. "Inner Being" is a graceful, upbeat tune that layers DeFrancesco's organ colors with both Sammy Figueroa's percussion and the organic drumming of veteran Billy Hart. The passages of the composition in which the organ plays in melodic sync with the soprano saxophone of Troy Roberts (the native of Perth, Australia who has made New York his home in recent years) are lovely, launching an engaging set of solos. If the whole album were like this, well, it would be a beautiful slice of what DeFrancesco has been offering listeners for many years: Hammond B3 playing for a new century. Tasty. Lovely. 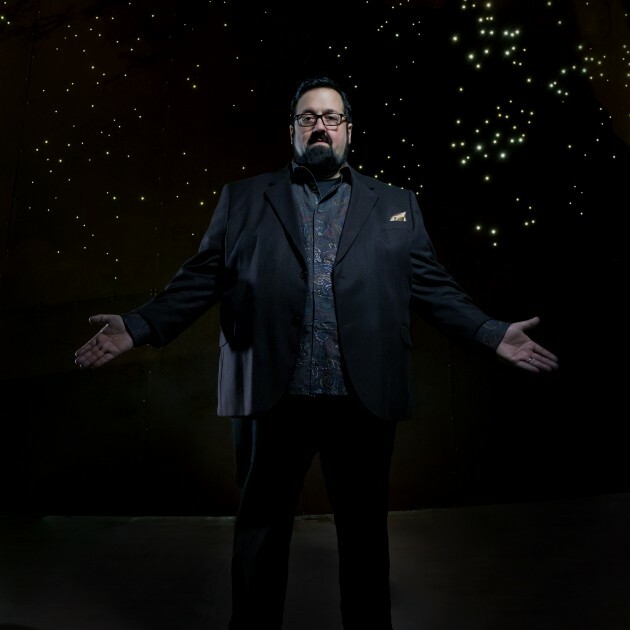 No one alive does it better than Joey DeFrancesco, and he takes you to Sunday Morning Revivals here with a team of Jason Brown/dr, Troy Roberts/ts-ss and Dan Wilson. 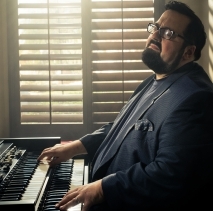 With his signature Hammond B3 organ at the foundation of each arrangement, Joey DeFrancesco and his band The People stretch out across genres. Pulling from the tried and true spirituals of the church, the freedom songs of American folk, the abiding sorrow of the blues and the swing of straight ahead jazz. Here is what magically happens when you cross spiritual soul-jazz with bluesy soul-jazz. 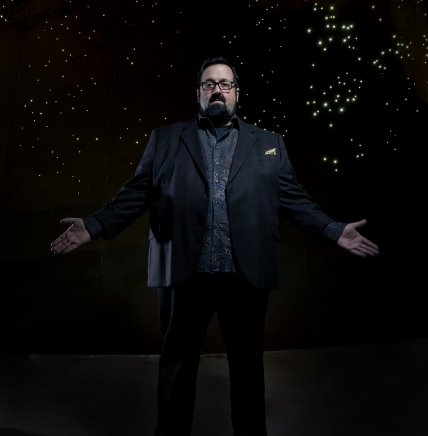 For his latest album, Joey DeFrancesco chose to name it In the Key of the Universe, which is a very Pharoah Sanders type of title. Perhaps that’s because the iconic saxophonist himself is on this record: the de facto heir to the legacy of Jimmy Smith features the de facto heir to late-period John Coltrane mysticism.